Our website address is: https://www.next-vapour.co.uk. Next Vapour ("us", "our" or "we") is a trading name of NEXT VAPOUR (SCOTT ARMS) LTD registered in England and Wales number 10832121. Our registered office is 140 High Street High Street, Smethwick, England, B66 3AP. Next Vapour is committed to ensuring that your privacy is protected. Should we ask you to provide certain information then you can be assured that it will only be used in accordance with this privacy statement. Next Vapour may change this policy from time to time by updating this page. You should check this page from time to time to ensure that you are happy with any changes. This policy is effective from 1st June 2018. We request information about you when you place an order or send us an enquiry. You consent to us using your data at the point at which you give it to us. You can ask us to delete all of your personal data by request. We use it to process an order. If you have given us consent we may periodically send marketing emails and this consent may also be withdrawn by you. Cookies are text files containing small amounts of information which are downloaded to your device when you visit a website. Cookies are then sent back to the originating website on each subsequent visit, or to another website that recognises that cookie. Cookies are useful because they allow a website to recognise a user’s device. Cookies do lots of different jobs, like remembering the items you put in your cart, your preferences, and generally improve the user experience. Also to help us understand visitor habits and to enable us to market our website. Cookies can be deleted by clearing your browser cache/deleting web history. This Site uses the WooCommerce e-commerce software to display, manage and take orders for products. PLEASE NOTE: In order for the e-commerce software to work its cookies need to be enabled in your browser. If you disable them you cannot place an order. Members of our team have access to the information you provide us. For example, both Administrators and Shop Managers can access Order information like what was purchased, when it was purchased and where it should be sent, and Customer information like your name, email address, and billing and shipping information. Our team members have access to this information to help fulfill orders, process refunds and support you. Our website is protected by a firewall. Our firewall performs a capability check for users creating or who have created an account which can be logged in to. The cookie is called wfwaf-authcookie-(hash). This cookie allows the firewall to detect logged in users and allow them increased access. It also allows the firewall to detect non-logged in users and restrict their access to secure areas. The cookie also lets the firewall know what level of access a visitor has to help the firewall make smart decisions about who to allow and who to block. By using our website, you agree that we can place these cookies on your device. Your personal data is not shared with any third parties except our payment provider when you place an order. Non-personal data is shared with Google Analytics. For users that place an order and/or register on our website, we also store the personal information they provide in their user profile. All users can see, edit, or delete their personal information at any time (except they cannot change their username). Website administrators can also see and edit that information. We keep user information for record keeping purposes for 6 years or more. If you have an account on this site and or have placed an order, or have sent a message via our contact form, you can request to receive an exported file of the personal data we hold about you, including any data you have provided to us. If you have SUBSCRIBED to our marketing emails you can easily UNSUBSCRIBE from them by following the link at the bottom of our marketing emails. We will not sell, distribute or lease your personal information to third parties unless we have your permission or are required by law. You may request details of personal information which we hold about you under the Data Protection Act 1998. If you believe that any information we are holding on you is incorrect or incomplete, please write to or email us as soon as possible. We will promptly correct any information found to be incorrect. We contact MailChimp in order to subscribe users and retrieve information about email lists and groups. When processing subscriptions, some of your data will be passed to MailChimp, including information required to target your account, such as the billing information and the product(s) you’re purchasing. You can also request that we erase any personal data we hold about you. This does not include any data we are obliged to keep for administrative, legal, or security purposes. See below for contact details. Next Vapour is the controller and responsible for your personal data (collectively referred to as ”Organisation”, “we”, “us” or “our” in this privacy notice). We have appointed a data protection officer (DPO) who is responsible for overseeing questions in relation to this privacy notice. If you have any questions about this privacy notice, including any requests to exercise your legal rights, please contact the Data Protection Officer using the details set out below. The personal data mentioned above is stored on our Hosting provider's servers in the EU. Orders are processed in England. Non-personal data is sent outside the EU to Google Analytics. Our website is HTTPS secure and has been validated to have a secure SSL certificate which provides industry standard data encryption of information transferred from your computer to the website. All our website pages are secured with SSL 256 bit encryption. 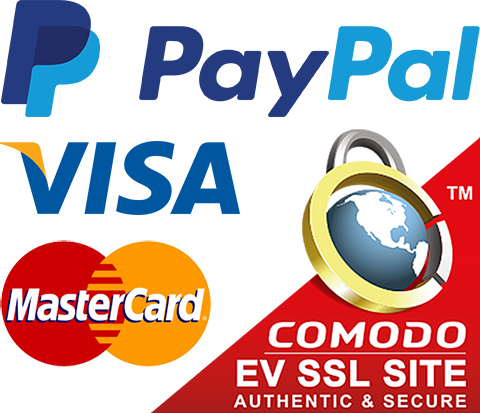 Our SSL Digital Certificate is provided by COMODO CA and has the SHA-256 Hash Signature Algorithm with Asymmetric RSA Encryption. Our Payment Gateway Provider is fully PCI DSS/CISP certified, meaning it exceeds industry standards in solidifying hardware and hosting facilities. We do not see or retain any card numbers on our website because you are directly providing payment details to the Payment Gateway Provider. The computers used to access customer orders in order to process them are protected by a firewall and anti-virus and are not removed from company premises. The only staff that have access to customer data are Order Processors and they have been trained in Data Protection. Our website uses plugins from YouTube, which is operated by Google. The operator of the pages is YouTube LLC, 901 Cherry Ave., San Bruno, CA 94066, USA. If you visit one of our pages featuring a YouTube plugin, a connection to the YouTube servers is established. Here the YouTube server is informed about which of our pages you have visited. If you're logged in to your YouTube account, YouTube allows you to associate your browsing behaviour directly with your personal profile. You can prevent this by logging out of your YouTube account. YouTube is used to help make our website appealing. This constitutes a justified interest pursuant to Art. 6 (1) (f) DSGVO. For uniform representation of fonts, this page uses web fonts provided by Google. When you open a page, your browser loads the required web fonts into your browser cache to display texts and fonts correctly. For this purpose your browser has to establish a direct connection to Google servers. Google thus becomes aware that our web page was accessed via your IP address. The use of Google Web fonts is done in the interest of a uniform and attractive presentation of our plugin. This constitutes a justified interest pursuant to Art. 6 (1) (f) DSGVO. If your browser does not support web fonts, a standard font is used by your computer.